Just like the obtaining the certification, certification renewal requires some paperwork and fees. You can find Approved Continuing Education Courses if you need to get hours for renewal. The fees for certification renewal can be found in the Renewal Fees And Dates PDF. There is a discount for having both certifications that can be found in the PDF linked above. You can find the late fees and filing dates there as well. The form that you need to send in is the Drinking Water Operator Certification Renewal PDF from the State Water Resource Control Board. If you have any questions about the process, or what training is acceptable, please refer to the Renewal and Continuing Education Frequently Asked Questions. In this PDF, it outlines how many hours are required for renewal and the maximum amount of safety hours, as well as other helpful things for renewal. 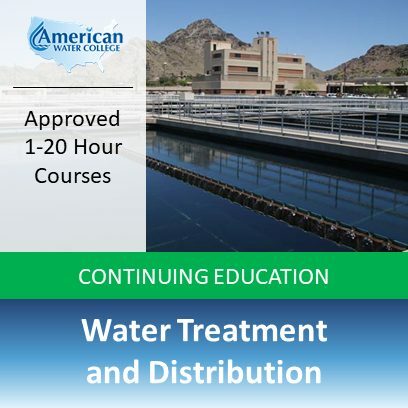 If you need to renew your certification, you may be interested in our approved Continuing Education Courses. Our courses have been used for years by operators to renewal their certification. Let us know if you need assistance choosing the right course for you.